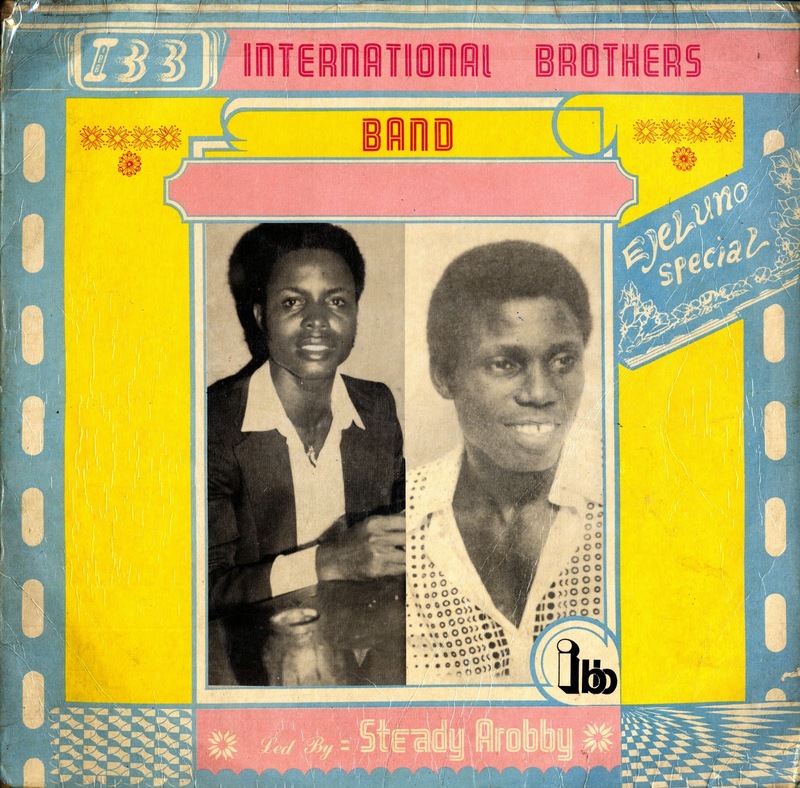 For the next selection on the highlife turntable, I have selected the track Onuma DimNobi by the International Brothers Band led by Steady Arobby off their 1984 Akashiada release Ejeluno Special. I have written about the International Brothers before. They were a top Ukwauni band that included a number of great Ukwauni players including giants like Bob Fred, Steady Arobby and Franco Ezute Lee. The members of the band were all alumni of the seminal Ukwauni band the Black Heroes led by Rogana Ottah and played on his first Ukwauni Special LP in the mid 70's that defined the Ukwauni sound. They did a number of LP's in the late 70's and 80's that beautifully capture the energy and vibrancy of the music.